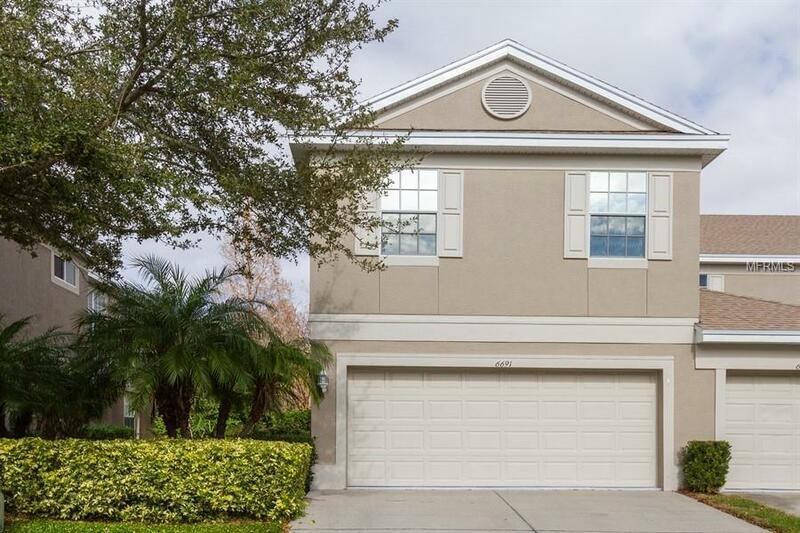 Stunning, move-in ready 2 car garage end unit town house priced to sell quickly. Recently installed brand new 3 ton central a/c unit, building renovated NEW ROOF 6 months ago and it's been meticulously taken care of through the years, shows pride of ownership the moment you walk in. 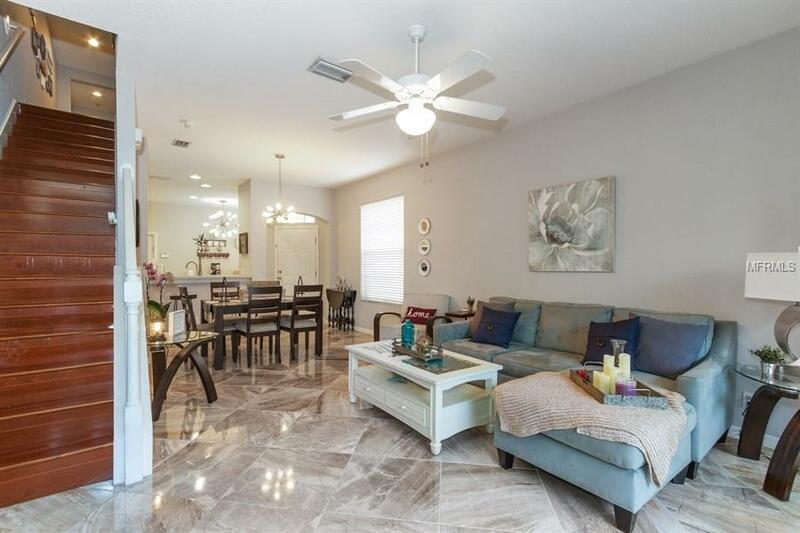 Large 18X18 marble ceramic tiles and high end solid hard wood floors throughout. 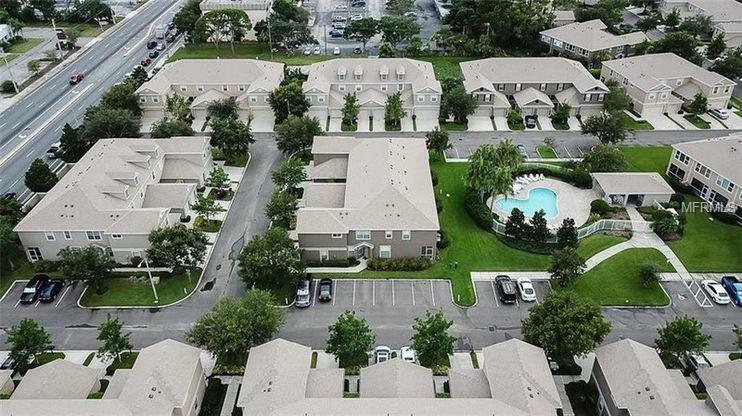 Located in a deed restricted, low HOA, pet friendly, pool community and centrally located in the heart of Pinellas County, just minutes from sandy beaches, local shops, and 5 star restaurants.On the first floor you will find an open living room dining room combo, an eat-in kitchen with a closet pantry, bar area, and a half bath room by the living room. The floor to ceiling glass sliding doors lead to the private screened in patio with ceramic tiles. Other features include modern high ceilings, an after-market paddle fan, security alarm and fire alarm. 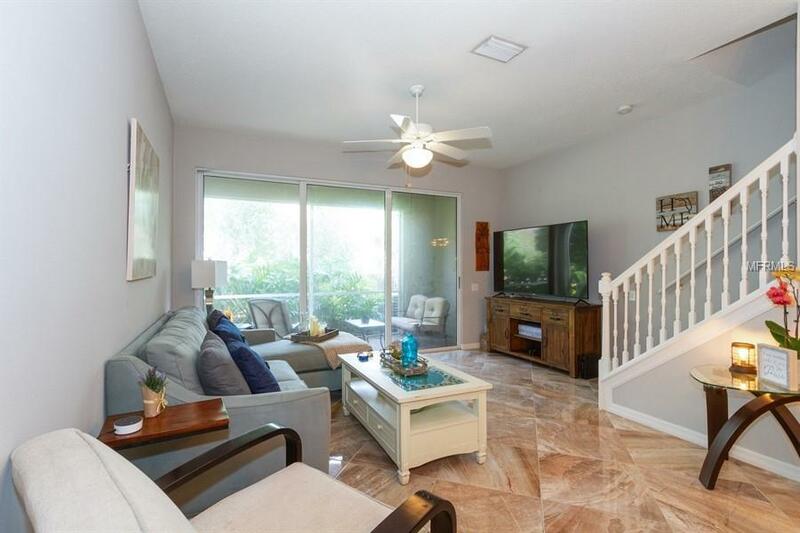 Upstairs you'll find solid high end wood floors and a split floor plan with 3 bedrooms. The master bedroom is larger than your average, it comfortably fits a king size bed with and a full bedroom set. Master bedroom also has a private bathroom and a large custom walk in closet. The laundry room is also upstairs and includes a full size washer and dryer. This is an end unit and provides lots of natural lighting with many windows.